On the heels of Disneyland’s 60th Anniversary Diamond Celebration, Aaron looks back at his three trips there to celebrate it. PLUS: Aaron announces his two brand-new books, HOCUS POCUS in Focus: The Thinking Fan’s Guide to Disney’s Halloween Classic and The Thinking Fan’s Guide to Walt Disney World: Epcot. Please leave a 5-star written review for Zip-A-Dee-Doo-Pod on iTunes! #71: What's It Like to Live in Disney World? What's it like to live in Walt Disney World? How does moving to Orlando change your theme park perspective as a diehard Disney fan? Is the tradeoff worth it? Fresh off of his two-year "Orlandoversary," Aaron looks at 15 ways that Florida residence has changed his WDW experience. Zip-A-Dee-Doo-Pod revisits its original 2006 "Top Disney Villains" audio montage with an updated and substantially expanded Disney Villains audio experience! Then, discussion shifts to the Hidden Mickeys phenomenon and some new books detailing those secret silhouettes. Total runtime - 45 minutes, 18 seconds Thanks for listening! Be sure to leave a quick review on iTunes! Find more about the show at the official website: http://www.aaronwallaceonline.com Follow Aaron and the show on Twitter! http://www.twitter.com/aaronspod Send in your emails! podcast@aaronwallaceonline.com Post at the show forum! http://www.thedpn.com Call the show's phone line and your voicemail WILL be played on the show: (919) 827-4932 Zip-A-Dee-Doo-Pod is an official member of The Disney Podcast Network. ZADDP #43: Disney Buys Marvel! Zip-A-Dee-Doo-Pod takes a close look at last week's shocking announcement that the Walt Disney Company is acquiring Marvel Entertainment for $4 billion. The show looks at exactly why the purchase is such a big deal, what it means for Disney's movies and theme parks, and what it says about Disney's corporate direction under Bob Iger as CEO. Total runtime - 47 minutes, 22 seconds Thanks for listening! Be sure to leave a quick review on iTunes! Find more about the show at the official website: http://www.aaronwallaceonline.com Follow Aaron and the show on Twitter! http://www.twitter.com/aaronspod Send in your emails! podcast@aaronwallaceonline.com Post at the show forum! http://www.thedpn.com Call the show's phone line and your voicemail WILL be played on the show: (919) 827-4932 Zip-A-Dee-Doo-Pod is an official member of The Disney Podcast Network. Zip-A-Dee-Doo-Pod reviews a 2001 documentary entitled Walt: The Man Behind the Myth. That excellent DVD happens to be on sale for $8.99 at Amazon.com right now, so the show is offering high praise in recommending an immediate purchase! Reflection on the documentary leads to a discussion of the potential for a Walt Disney biopic, as well as the the prestigious Disney Legends Hall of Fame and speculation over the 2009 inductees, and some big announcements from Aaron! Before anyone sends in an email -- in discussing the transition from Roy Disney to Ron Miller, the show neglects to mention the tenures of Disney CEOs Donn Tatum and Card Walker. The omission was inadvertent, as discussion is focused on the Disney family, but it has been noted! It's a short episode this week, and coming a few days earlier than usual, for reasons explained in the show! Total runtime - 36:55 Thanks for listening! Be sure to leave a quick review on iTunes! Find more about the show at the official website: http://www.aaronwallaceonline.com Follow Aaron and the show on Twitter! http://www.twitter.com/aaronspod Send in your emails! podcast@aaronwallaceonline.com Post at the show forum! http://www.thedpn.com Call the show's phone line and your voicemail WILL be played on the show: (919) 827-4932 Zip-A-Dee-Doo-Pod is an official member of The Disney Podcast Network. With the release of Up, Pixar now has ten full-length feature films to its credit. Zip-A-Dee-Doo-Pod takes the occasion to rank those ten films and review them along the way. Also: the winner of the Up soundtrack is announced and Aaron reads a statement from Jesse, former host of The MousePod. Total Runtime: 1:24:42 Thanks for listening! Be sure to leave a quick review on iTunes! Find more about the show at the official website: http://www.aaronwallaceonline.com Follow Aaron and the show on Twitter! http://www.twitter.com/aaronspod Send in your emails! podcast@aaronwallaceonline.com Post at the show forum! http://www.thedpn.com Call the show's phone line and your voicemail WILL be played on the show: (919) 827-4932 Zip-A-Dee-Doo-Pod is an official member of The Disney Podcast Network. Zip-A-Dee-Doo-Pod Episode #39: Mailbag Show (Villains and Gangsters and JoBros - Oh My!) Aaron answers listener email and announces your chance to win the soundtrack to Disney/Pixar's Up! Topics discussed include: * What makes a good Disney villain? Are "real life" villains better than "fantasy" villains like Maleficent? * Disney's On the Record revisited * Was Aaron justified in comparing Hades to the devil? One perturbed listener says no! * What's wrong with Pixar's [i]Cars[/i]? * Disneyland's use of castmembers from different lands in staffing their parade route * Disney's use of syndicated cuts in the "Golden Girls" TV-on-DVD releases * Is a Disney museum on the way? * Listeners weigh in on both sides of the Great Movie Ride "Lady Gangster" debate * A mini-review of the Jonas Brothers' new CD, Lines, Vines and Trying Times * And much more! Total Runtime: 1:40:40 Contest winner will be randomly selected from all eligible entries. Thanks for listening! Be sure to leave a quick review on iTunes! Find more about the show at the official website: http://www.aaronwallaceonline.com Follow Aaron and the show on Twitter! http://www.twitter.com/aaronspod Send in your emails! podcast@aaronwallaceonline.com Post at the show forum! http://www.thedpn.com Call the show's phone line and your voicemail WILL be played on the show: (919) 827-4932 Zip-A-Dee-Doo-Pod is an official member of The Disney Podcast Network. In celebration of Independence Day, Zip-A-Dee-Doo-Pod takes a look at the role Disney has played in America's history and the role that America plays in Disney's theme parks. This episode was originally released on July 4, 2006. Nothing has been changed in the re-release, except for new cover art. Please note that the contest information detailed at the beginning of the show is no longer applicable (that contest has ended). Total Runtime: 50:05 Thanks for listening! Be sure to leave a quick review on iTunes! Find more about the show at the official website: http://www.aaronwallaceonline.com Follow Aaron and the show on Twitter! http://www.twitter.com/aaronspod Send in your emails! A mailbag show is coming up! podcast@aaronwallaceonline.com Post at the show forum! http://www.thedpn.com Call the show's phone line and your voicemail WILL be played on the show: (919) 827-4932 Zip-A-Dee-Doo-Pod is an official member of The Disney Podcast Network. Zip-A-Dee-Doo-Pod makes a small departure from its usual Disney-centric theme to pay homage to the King of Pop, Michael Jackson. Discussion includes: • Initial reactions to the stunning news of Michael Jackson's death • Aaron's personal memories of the moments in which Michael Jackson's music played a role in his life • The various connections between Michael Jackson and The Walt Disney Company... including, of course, Captain E.O. • Reflections on Michael Jackson's personal life and the accompanying controversies that defined the second half of his career • A rapid-fire countdown of the 25 best Michael Jackson songs that never went #1 Total Runtime: 1:08:16 Thanks for listening! Be sure to leave a quick review on iTunes! Find more about the show at the official website: http://www.aaronwallaceonline.com Follow Aaron and the show on Twitter! http://www.twitter.com/aaronspod Send in your emails! A mailbag show is coming up! podcast@aaronwallaceonline.com Post at the show forum! http://www.thedpn.com Call the show's phone line and your voicemail WILL be played on the show: (919) 827-4932 Zip-A-Dee-Doo-Pod is an official member of The Disney Podcast Network. The latest Miley Cyrus scandal has Zip-A-Dee-Doo-Pod doing something its host never thought it would: talking about Ms. Montana herself for a whole episode. But is it really Miley who's behind this controversy, or Disney's PR folks? Listen in to find out why Miley Cyrus keeps hanging up on DJs during live radio telephone interviews -- and to hear the audio of it actually happening! Aaron weighs in on Disney's handling of the situation and shares his own experience in interviewing Disney celebrities and working with the PR reps who come with them. If you're a Fan-na Montana, you'll like half of this episode -- if you can't stand her, you'll like the other half. 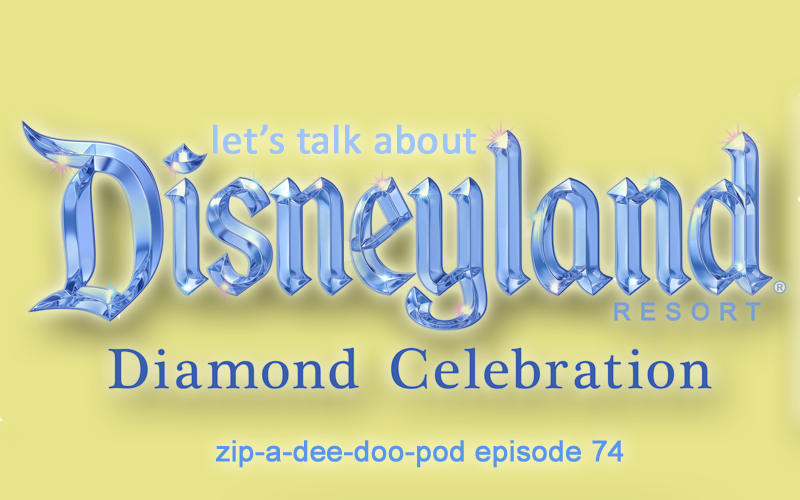 Either way, you'll want to celebrate the four year anniversary of Zip-A-Dee-Doo-Pod, coming up this week! Total Runtime: 45:06 Thanks for listening! Be sure to leave a quick review on iTunes! Find more about the show at the official website: http://www.aaronwallaceonline.com Follow Aaron and the show on Twitter! http://www.twitter.com/aaronspod Send in your emails! A mailbag show is coming up! podcast@aaronwallaceonline.com Post at the show forum! http://www.thedpn.com Call the show's phone line and your voicemail WILL be played on the show: (919) 827-4932 Zip-A-Dee-Doo-Pod is an official member of The Disney Podcast Network. In celebration of Father's Day, Zip-A-Dee-Doo-Pod revisits its 2006 "Top 10 Disney Dads" episode. That show, episode #13, contained an audio montage of the "Honorable Mentions" -- Disney Dads who didn't quite make the cut. Three years later, that montage is updated to include: • All the original "honorable mention" dads • The original Top 10 dads (not included in the original montage, as they had their own audio segments throughout the countdown) • New Disney Dads who have joined the Disney family in movies and theme park attractions since the summer of 2006 • A few bonus Disney Dads from classic Disney films who weren't included the first time around The original audio montage was very well received by listeners when it was first released and emails still come in about it to this day. The updated and expanded version is this quick episode is the perfect way to commemorate Father's Day this weekend! Thanks for listening! Be sure to leave a quick review on iTunes! Find more about the show at the official website: http://www.aaronwallaceonline.com Follow Aaron and the show on Twitter! http://www.twitter.com/aaronspod Send in your emails! A mailbag show is coming up! podcast@aaronwallaceonline.com Post at the show forum! http://www.thedpn.com Call the show's phone line and your voicemail WILL be played on the show: (919) 827-4932 Zip-A-Dee-Doo-Pod is an official member of The Disney Podcast Network. The Zip-A-Dee-Doo-Pod celebration of the 20th Anniversary of Disney's Hollywood Studios continues with the Top 10 Best Things About Disney's Hollywood Studios. This episode picks up where the last episode left off: Number Ten. As with the last show, anything is fair game for inclusion in the countdown and this time there are some definite surprises -- both in what makes it and what doesn't. Download the episode and check out another classic Zip-A-Dee-Doo-Pod countdown show! In celebration of the 20th Anniversary of Disney's Hollywood Studios, Zip-A-Dee-Doo-Pod is counting down the 20 best things about the park -- and ANYTHING is fair game -- rides, shows, restaurants, shops, vendor carts, you name it! There are surely a few surprises in store. So celebrate the anniversary in style with a classic Zip-A-Dee-Doo-Pod countdown episode! This episode picks up where the last one left off -- Aaron's friend and fellow Disney freak Courtney is back to discuss our most recent trip to Walt Disney World. Discussion includes a rangent (rant + tangent) on D23; reviews on T-Rex, the Celebrate It! 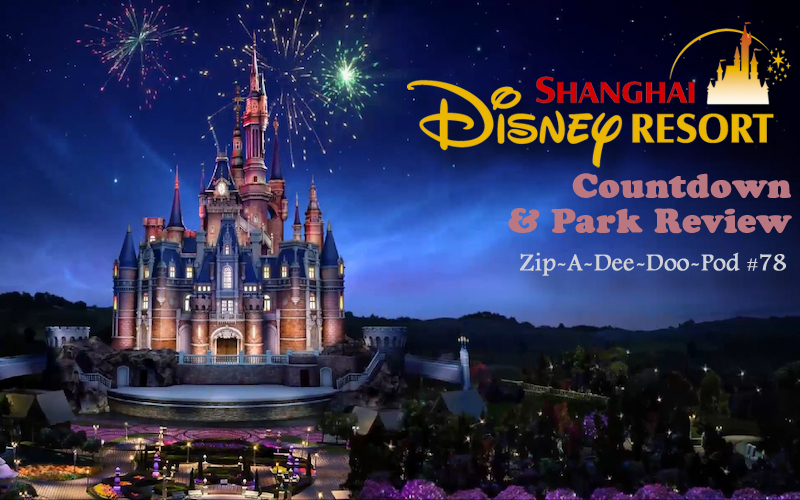 Street Party, and Up; riding rides with strangers; getting stuck on Space Mountain; riding Dumbo with characters onboard; and much more! Plus, Aaron announces the topic of the next countdown show! ZADDP #32: Trip Report with the American Idol Experience and Female Gangsters! Aaron welcomes his good friend and travel buddy, Courtney, for a discussion of their most recent trip to Walt Disney World. Discussion includes a review of the American Idol Experience, disappointment in Great Movie Ride gangsters, and a Disneyland trip report tangent! In episode #29 I began a countdown of my Top 25 Favorite Things About Epcot. I split the show up after #13 and at long last, the remainder of that countdown is here! Attractions, shows, restaurants, foods, fireworks -- *anything* is fair game! I also consider the celebration (or lack thereof) for Epcot's 25th anniversary. Head over to iTunes and subscribe if you haven't already. Hopefully this will this encourage everyone to reflect on their own favorite things about Epcot and share them with me here! A Hard Look at Jim Hill's Comments on the Hall of Presidents in the new "Unofficial Guide to Walt Disney World 2009" -- I'm a fan of these guys, but I have to take issue with one thing in particular, and it has to do with Barack Obama! Zip-A-Dee-Doo-Pod is back with another countdown episode. In time for New Year's, we're counting down the top 10 best years in Disney's history... the ones filled with a lot of big things that have meant a lot to the company and all of us fans. I started with 65 contenders and had to painfully eliminate all but 10 for this show, but of course there's a list of those that almost made the cut too. After all is said and done, there's a look back at 2006 as well. Happy New Year, everyone! In this special Halloween episode, we count down Disney's Top 10 Villains and pay tribute to many more in an audio montage. In the first of two "Reviews & Reflections" episodes, I take a look at a few Disneyland attractions that didn't make it into my last trip report, respond to listener letters and voicemails, and then get down to the nitty gritty of California Adventure. The "Disney on the Web" series continues with a look at the world-famous MouseSavers.com. Mary Waring, the webmaster and creator, joins me for a discussion of the ins and outs of Disney trip planning and the history of her website. With an inbox full of yet-to-be-addressed mail, it's high time for a second installment of the Super-Sized Mailbag show. Topics include California Adventure (how to fix it? ), Song of the South (what's wrong with it? ), Tarzan's Treehouse (why a treehouse? ), an email from an angry fan of Avenue Q, and lots of other Disney discussion. Also, David swings in for a review of last year's Disney Music tribute at the Hollywood Bowl, I make a few "thank you"s and announcements, and I give away that double-disc Aerosmith CD set! Rock 'n' Rollercoaster Starring Aerosmith is put in the spotlight. A look at the attraction, its history, the rumors, the controversy, and more. Plus, a chance to win an Aerosmith CD. A life-long Disney World fan visits Disneyland for the first time! Hear my thoughts on the original Happiest Place on Earth and its sister park across the street. Plus, there's a review of POTC2 and the El Capitan Theater. In this super-sized episode, Aaron responds to a handful of listener letters to the show. Topics range from birthdays at Walt Disney World to The Da Vinci Code. Also: the Unofficial Guide contest winner is announced, a special offer is made available to Zip-A-Dee-Doo-Pod listeners, and a special something else. The show returns with a countdown of the Top 10 Disney Moms in honor of Mother's Day. Fresh off of a Narnia break, Zip-A-Dee-Doo-Pod returns with a WDW trip report, tips for doing that resort in just one day, and the announcement of a new way to contact the show as well as our first contest! Disney on Stage: Part II ... A look at London's "Mary Poppins" show and "On the Record," as well as some general discussion, making this the longest episode yet. Disney on Stage - Part One: The First 10 Years of Broadway... your host rambles on about Disney's various stage shows, particularly "Beauty and the Beast" and "The Lion King" on Broadway. The show's still not perfect, but as Eglantine Price says, "It's a step in the right direction." Just in time for Valentine's Day, here's a special episode dedicated to Disney Romances, including a Top 10 list. 47 minutes? Chalk it up to a holiday exception. Also discussed: last week's delivery.